The modern mini-scooter can be seen everywhere on urban streets. But how did it come to be in its present form? Milestones in the history of transport on wheels in the collection belonging to the Swiss National Museum provide an insight. The mini-scooter is immensely popular these days. It is not just children who use these small two-wheeled or three-wheeled speedsters, but also adults who have no intention of sitting in traffic jams or standing around in crowded buses during the evening rush hour. Nowadays, barely anyone gives the wooden origins of these moving tread boards a second thought. In the early 19th century, Baron Karl von Drais, born in Karlsruhe on 29 April 1785, tried to find a cheap transport alternative as the price of horse feed had risen because of crop failures. In 1817, he invented a “running machine”, a still cumbersome two-wheeled structure made of wood and metal, which became known in his honour as the “draisine”. 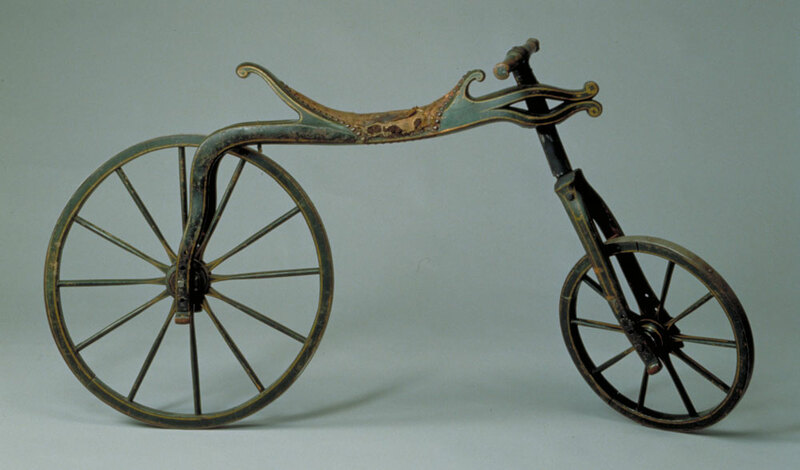 After it was patented 200 years ago, this precursor to the bicycle spread rapidly. The wooden wheels of the draisine made for a lurching and sometimes adventurous ride. Over time, the draisine provided the inspiration for various everyday modes of transport, which rolled more comfortably over streets that also improved in parallel. Examples include the bicycle and the scooter. A pioneer in the production of children’s scooters was Wisa Gloria AG from Lenzburg. Starting life as a factory for mechanical prams in the 19th century, it has been producing children’s toys for over 100 years. 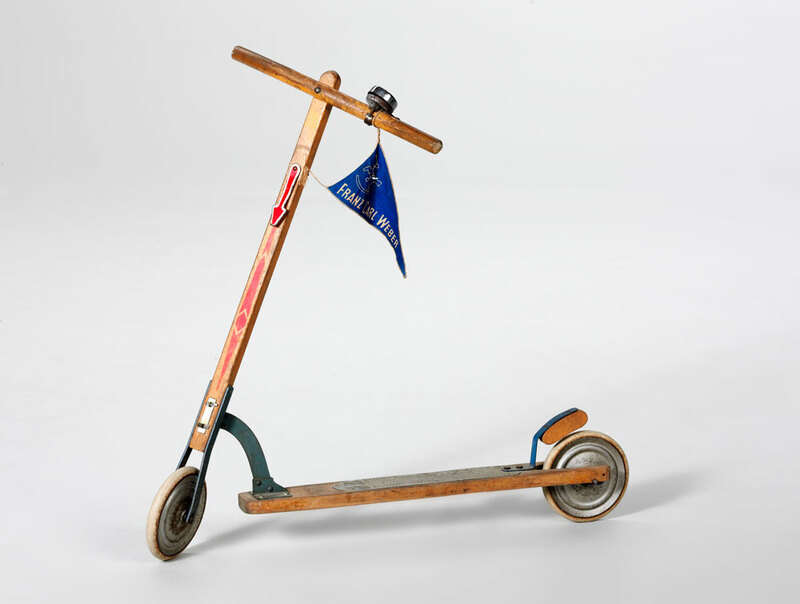 With a flag and direction indicator on the handlebar, the scooters made by Wisa Gloria AG in the 20th century became a huge commercial hit. As demand rose, technological developments also gathered increasing momentum. In the 1980s, the small, easy-rolling solid rubber wheel was used more and more – including for inline skates and skateboards – which formed the starting point for the development of modern kick scooters, as we know them today. Again, a Swiss company played a major role. Inspired by a clever idea from his apprentice, an instructor at the company Sulzer, Edmondo Duarte, sketched the prototype for a modern means of transport. He collected available parts in his workshop and assembled them together: a solid base, tubes, a bicycle fork, small rubber wheels and a chequer plate as a footboard. 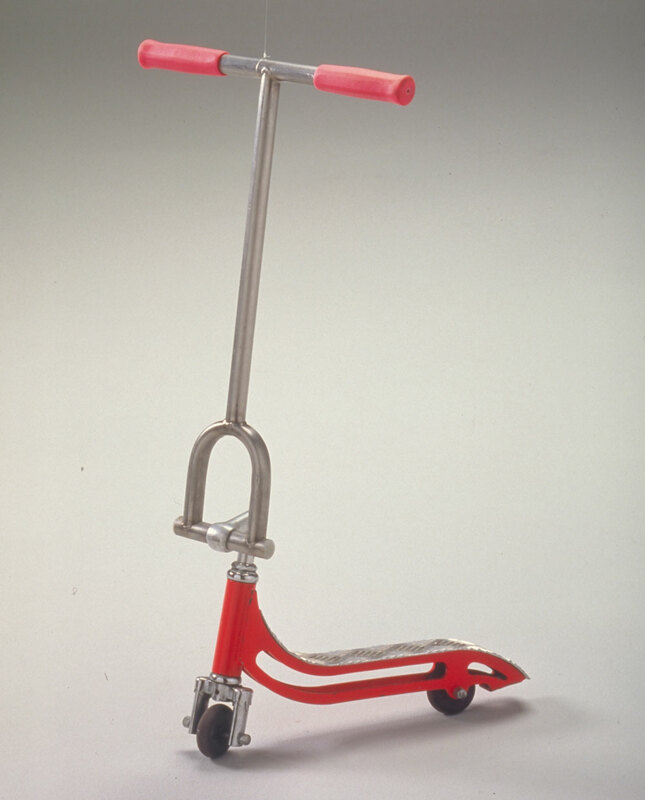 He donated this prototype of the modern mini-scooter to the National Museum. Today, mini-scooters are commonplace and come in a wide variety of designs. Aluminium models weigh only a fraction of the weight of their precursors and are collapsible and easy to transport. With chrome ball bearings and reflectors affixed, they are also far safer on the roads than they ever were. With the transition from the cumbersome wooden structure to a light mode of transport, a social change has also taken place: no longer a bumpy form of transport, they have become a trendy recreational gadget. 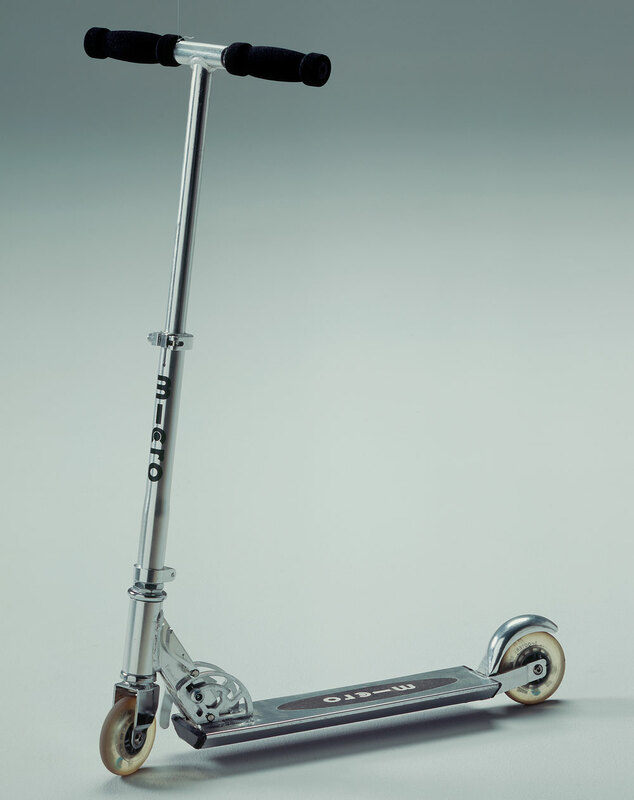 Many people use the new mini-scooters to indulge a hobby, performing tricks and jumps. 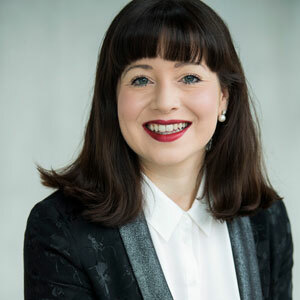 Laetitia Burkhard is studying Arts Administration at the University of Zurich.